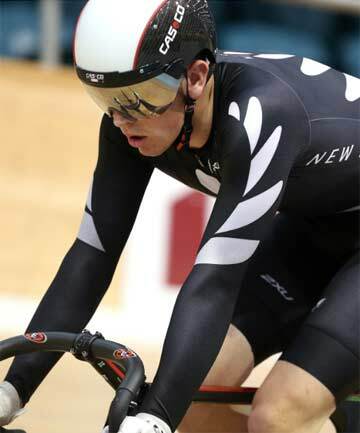 When Nick Kergozou was named in the New Zealand team to attend the World Junior Track Cycling Championships this year, his mother beamed with pride. Kergozou is one of three Southlanders named in the 14-strong New Zealand team with the others being Michael Culling and Laura Heywood. Michelle Kergozou was delighted her son's hard work had paid off and earned him a ticket to the championships in South Korea in August. However, her teenage son's selection has created its own challenge for the single mother, one that many parents face when supporting a promising child's sporting quests. It is a challenge she is determined will end with her son succeeding in Korea while she watches from the stands. Each of the riders has to come up with $7000 to attend the world championships this year so that is the first priority, before she even thinks about being in those stands in Korea. She said being part of the Southland community had certainly made the task that bit less overwhelming for her and the talented young cyclist. The Community Trust have already agreed to a $1500 grant while an application with the Invercargill Licensing Trust is still pending. The Kaos HQ hairdressing firm has also come on board and on May 15 will donate all the money spent at their salon to help get Nick to Korea. Michelle and her friends will also hold a function at the Scottish Hall in Invercargill on June 7. They will have musical entertainment, and Nick, who has won culinary awards while attending Southland Boys' High School, will help prepare the food. "He is very motivated. I'm very proud of him because coming from a one parent family he knows how tough it is," Michelle said.